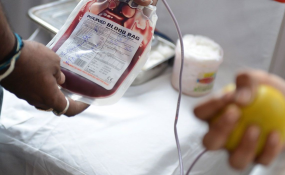 The National Blood Services of Zimbabwe (NBSZ) has dismissed media reports that the country had run short of blood stocks saying they have enough for any procedures at both private and public hospitals. In a press release this morning, the Public Affairs Manager for the National Blood Services of Zimbabwe, Esther Massundah confirmed that the blood bank currently has enough stocks adding that they cannot overstock due to limited shelf life. "NBSZ periodically monitors the blood bank and stocks are maintained. Blood has a shelf life of 42 days and therefore NBSZ cannot overstock the blood bank as this will result in expiries," Massundah said. With the coming in of the free blood initiative for the public health institutions, NBSZ has adjusted its collections target upwards and has targeted to collect 108,405 units of blood in 2019. "Blood user fees are set in consultation with the Ministry of Health and Child Care. NBSZ has never pegged user fees at $254 as mentioned in the article. Prior to blood being free, January 2017 to October 2017 fees were pegged at $100. November 2017 - December 2017, fees were reduced to $80. January 2018 -June 2018 fees were further reduced to $50. July, blood became free for all public health institutions. Private health institutions fees are pegged at $120 per unit of blood," Massundah confirmed.